Shut down Benn, Seguin, and Radulov...that’s about it for their firepower. Solving Bishop/Khudobin will be a challenge. Huge game. Potentially third in the division with a win against the Stars. I think Bishop is out with an injury, so we'll see either Doby or Bow. Guess I'm Blackhawk and Flames fans tonight too! Go Canes! Better bring that A game tonight! We are in playoff mode-every game is a must win. This team is fun to watch. That they are finding a way to win is a plus. One game at a time, one point(2) at a time. Power of the Pig!! Let's keep it rolling!! Tough matchups for our competition today too. Here's hoping for a little round the league puck luck. Dallas has almost an identical record to us. However, not on the road where they are 11-15-3, only Ottawa and Detroit are worse on the road. That said they have nicely spaced out games and are coming off of a shellacking in Tampa losing 0-6. Teams usually pull out a big effort after being slaughtered. We will face a motivated team. They are also in the 1st WC spot, but only there by a few points, so again, motivated. 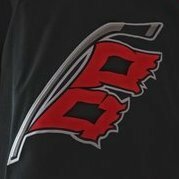 The Canes should, IMO, get to their game tonight. This team laughs off "back to back vs rested" scenarios. They've had their first game back game (that I'm still holding out is a thing after watching yesterday). They pulled out a win, but can still collectively realize that they probably should have lost and will lose this one if they come with the same effort tonight. I'm predicting that we get to our game tonight. And when that happens we are very hard to beat. rem, I'd always heard that the difference between Western and Eastern conference was that W slogs thru games, and E are up tempo. Thus judging by last night, we may have to put up with another slug fest, low scoring game? Thus, to "get to our game" may again be disruptive. I hope not but we'll see? Kjun, I completely agree with one Rod Brind'Amour who said something to the effect of "when we play our game it doesn't matter who we play, we are hard to beat." In past years, our team could look good one game, then get shut down completely for three games. This year's team seems so much more capable of imposing it's will on the other team. When we look bad, it's almost always a dead-leg no show game. When we look good? We are very hard to beat. I'm going to predict we look good tonight. Make a run, make the dance, win the cup. Make a run, make the dance, win the cup. Do a hugely elaborate, epic storm surge with the cup. That would give Brian Burke and half of Toronto a collective stroke. I've seen several "hot" 8 seeds throughout the years get in, knock some good teams out, and go very far. Why not us? I think they can do it. Go Canes! I think LA won a cup from there, and the Oilers came close that year we won. I think we have one of or the best records in the NHL since Dec 30? And maybe the most goals? I heard something like that. Not to get greedy, but I think if we can get to the #7 slot and avoid Tampa, we could indeed surprise some people. Ducks of 2003 or something like that. Swept that super red wings team in the first round. Went all the way with the devils to game 7. They were HOT HOT HOT. Won a little cash on that. Yeah I looked the score and they were up by one. Looked again and up by two. Then come over here and find out they're up by three. Columbus gets Tampa. Maybe the scoreboard will finally help out. Just win tonight! Nice. I know we started this run with a win vs Philly December 30. (Then beat them again in our next game). Bet Philly wishes they had those 4 points right about now.